serving Sugar Land, Missouri City, Needville, Pearland, Fresno, Richmond, and Rosenberg. Are you thinking of buying a home in the this area? Please take a minute and browse my local neighborhood and school details, real estate mortgage information and interactive maps for the south to southwest suburbs of Houston. 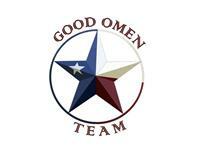 Thank you for visiting www.goodomenteam.com! This is a one-stop real estate website for all your home buying and selling needs. I’m a professional real estate agent who will help make your search for a new home an enjoyable experience.